The worst has happened, and your home is flooded. Whether the result of a natural disaster, plumbing problems, or after a fire, the damage can be overwhelming and incredibly expensive. While there may be a natural inclination to try to find the cheapest contractor to clean up the mess, it is important to remember that you often get what you pay for. Water damage requires the expertise of a professional water restoration expert, not a handyman. National Water Restoration understands that every water damage situation is an emergency. Building materials allowed to sit in water are prone to additional damage from swelling, mold, rust, electrical shorts, etc. Unlike a handyman who may only have one or two people and will get to your project when it is convenient, we have a team of experts versed in a wide array of construction and damage mitigation fields ready to assist you 24 hours a day, 7 days a week. We also have a 30 minute response time and can bill your insurance company directly. That means no long waits, no more damage, no confusing paperwork or complicated claims to make, and ultimately, money saved on the restoration efforts. Cleaning up more than a small puddle is a much more complicated task than most handymen have ever faced. It requires an understanding of all the places water can go, its effect on a structure, and the right tools to get the job done right the first time. National Water Restoration uses state of the art equipment and clean up chemicals to remove the moisture, prevent mold and other fungal growth, and to keep you, your family, and your pets safe and healthy. We have specialized moisture detection tools, purpose-built air handlers to encourage rapid evaporation, anti-mold and fungal agents, and much more. Most handymen, on the other hand, have little more than old box fans, towels, and mops. More importantly, who does the better restoration job? National Water Restoration can handle anything from moisture removal and mold testing to structure repairs, reconstruction, and remodeling. Our technicians are licensed and insured. In other words, we do the job right the first time and we are willing to put our money where our mouth is. 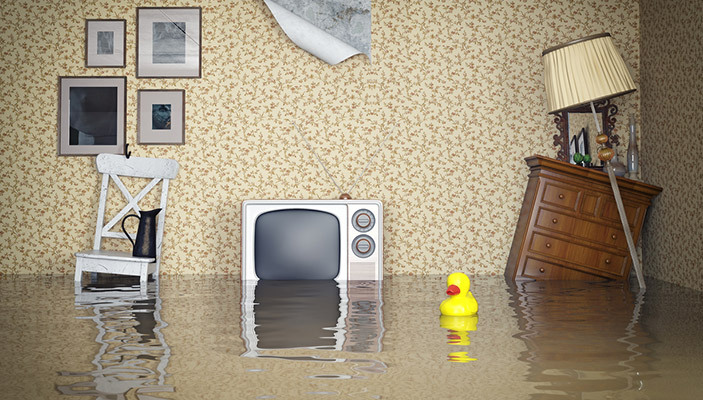 It is always best to call an expert when you have experienced water damage. National Water Restoration is the right choice for not only cleaning up water and fire damage, but also preventing mold and reconstructing any damaged structures. If you would like more information about National Water Restoration call us anytime at (877) 933-7924.